As a huge internationally known brand, what do you do to celebrate your 20th anniversary? Whatever you choose needs to be memorable, social media friendly and relevant to the brand. Now in our line of business, obviously we think corporate cake are the perfect tool with which to achieve maximum impact. Who doesn’t like cake especially when it’s as cool as this! 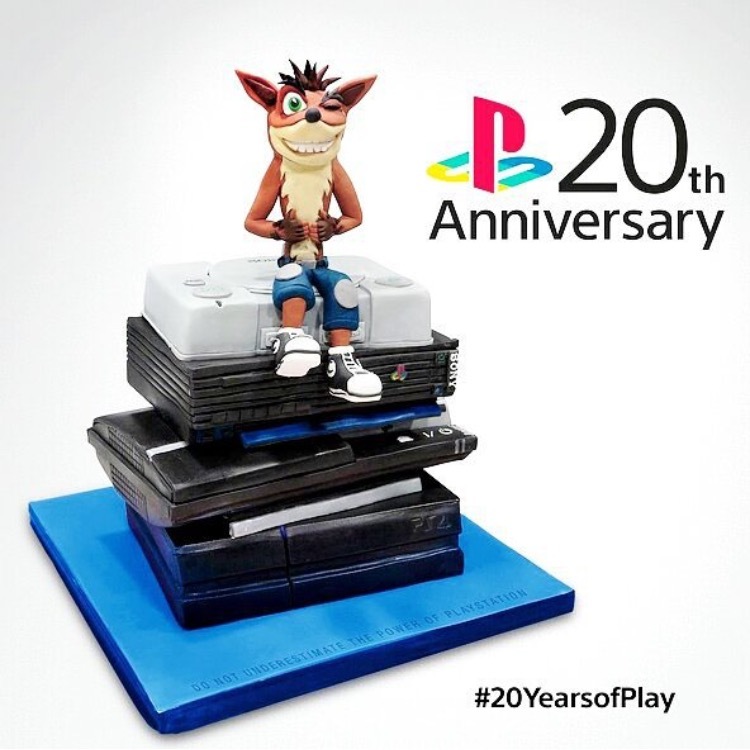 Playstation EU got in touch with us to design a cake which featured their 4 Playstation consoles and this is what we came up with. 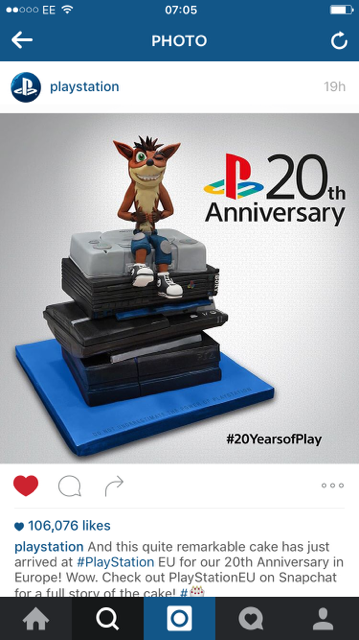 We were asked to make a sugar model of Crash Bandicoot to sit on top and I think it looks totally amazing! 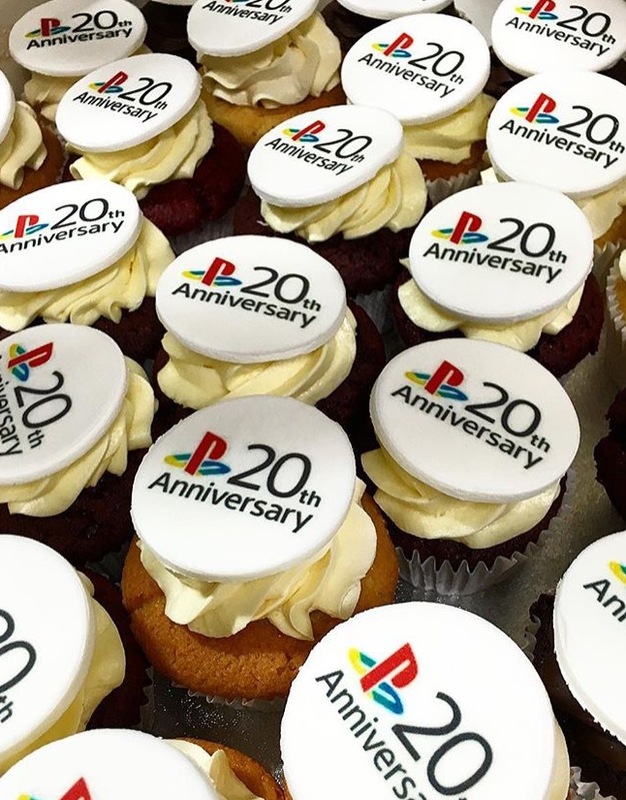 We also added in the corporate cupcakes with the 20th Anniversary logo on as a cost effective way of stretching the cake to feed all the hungry mouths.